The kingdom of Benin, home of the Edo-speaking peoples, is located in the tropical rain forest region of what is now Nigeria. 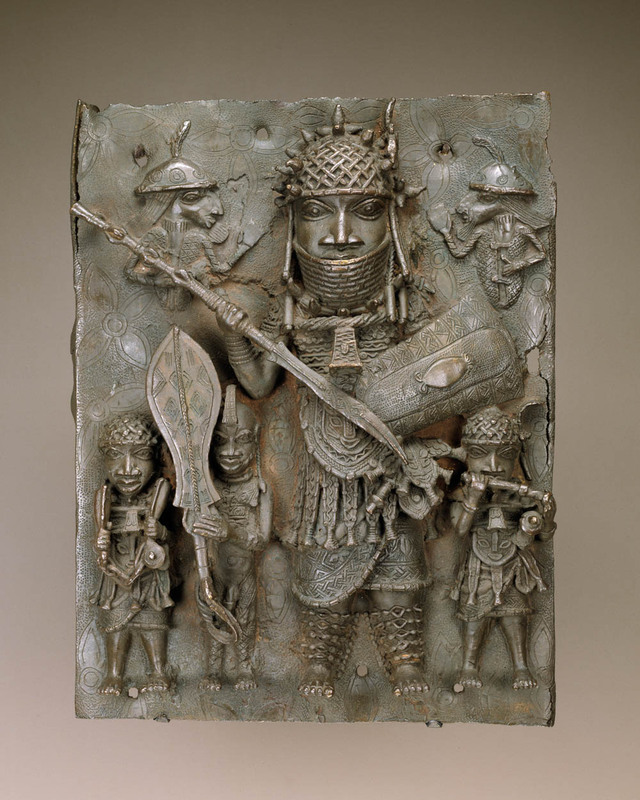 An oba, or king, and his court have, from around 1300 C.E., governed the kingdom from Benin City, the capital. Within the kingdom, specialized artists belonged to guilds with hereditary membership and worked solely for the oba. Today, the current oba, Oba Erediauwa I, retains a court and employs royal artists to produce the courtly arts of bronze casting and ivory carvings. Archaeological excavations, oral histories kept by court and guild officials, narratives, and trade records from European travelers—as well as thousands of works of art—reveal the ancient history of Benin. In the early 1600s, Dutch geographer Olfert Dapper described the royal palace of the Benin court as having “beautiful and long square galleries about as big as the exchange at Amsterdam, some bigger than others, resting on wooden pillars, covered from top to bottom with cast copper, on which deeds of war and battle scenes are carved.” Later travelers’ accounts did not mention the plaques; the British, however, found them in a storehouse when they sacked the palace in 1897 during the Benin punitive expedition. 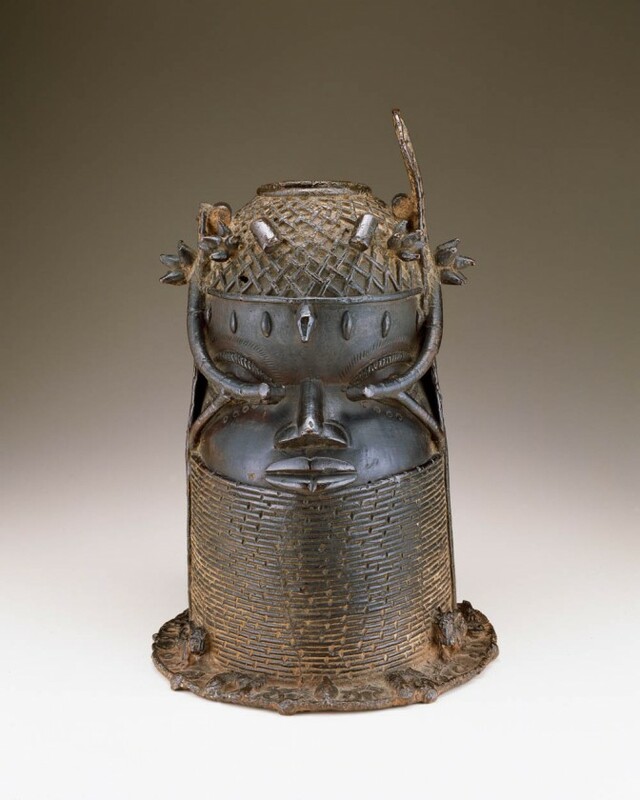 An emphasis on elaborate regalia is typical of 19th-century Benin art. Cast objects are often large and heavy as well. Symbols of royal power and sacrifice—kola nuts, elephant trunks, leopards, and mythical fish—decorate the base of the head. 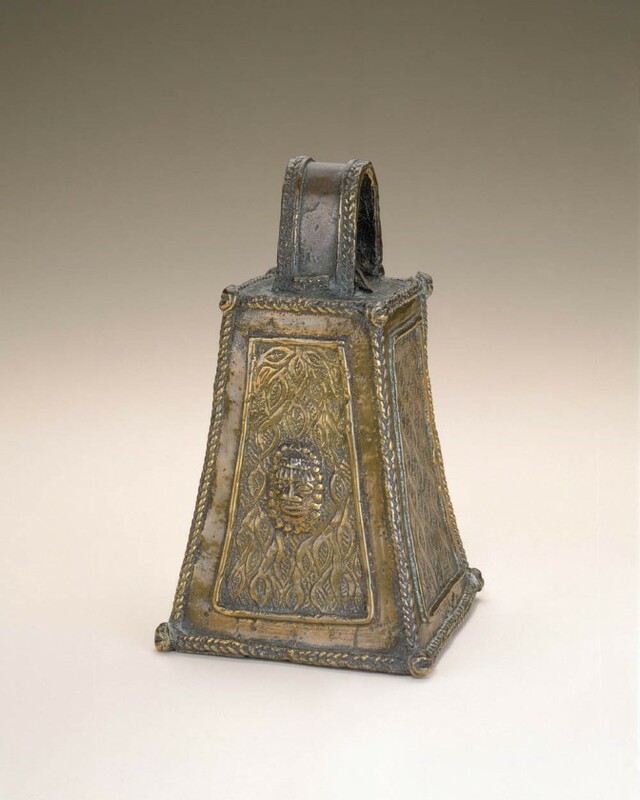 This type of bell, identified by its distinctive four-sided, flat-topped shape, was once placed on an ancestral altar in the royal palace. Its shape is thought to resemble the palace roof turrets. Benin warriors wore smaller versions of these bells on their chests, as can be seen on the plaques that formerly covered the piers in the palace courtyard. The sound of the bells identified Benin warriors in battle, served as a sign of the spiritual protection of the king, and spread terror among the enemy. 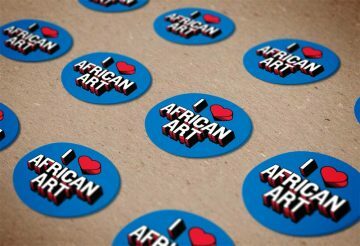 This corpus of reliefs represents the most impressive and unique art treasure from the continent of Africa. Each plaque is individually modeled and cast. Some plaques depict scenes, such as battles, hunts, or court ceremonies. Most have one or two male figures in court regalia. Today, over 900 plaques reside in public and private collections. Over the centuries, Benin had years of greatness and suffered times of turmoil, but a single event divides ancient from modern Benin. James Phillips, a British official in the Niger Coast Protectorate, led an unarmed expedition to Benin City in January 1897 to enforce trade agreements and a ban on reported human sacrifice. To prevent the British party from interfering with annual royal rituals, some chiefs ordered, against Oba Ovonramwen’s wishes, warriors to attack the expedition. Six British officials and almost 200 African porters were killed. England responded immediately, mounting a “punitive expedition” to capture Benin City. The palace was burned and looted in February 1897, and the oba was exiled to Old Calabar. To break the power of the monarchy and to end ritual practices, the British confiscated all of the royal art treasures, giving some to individual officers but taking most to auction in London to pay for the cost of the expedition. Musicians and a court page holding a fanlike sword (eben) flank a high-ranking warrior, possibly a war chief or the oba. The half figures depict Portuguese soldiers or traders. 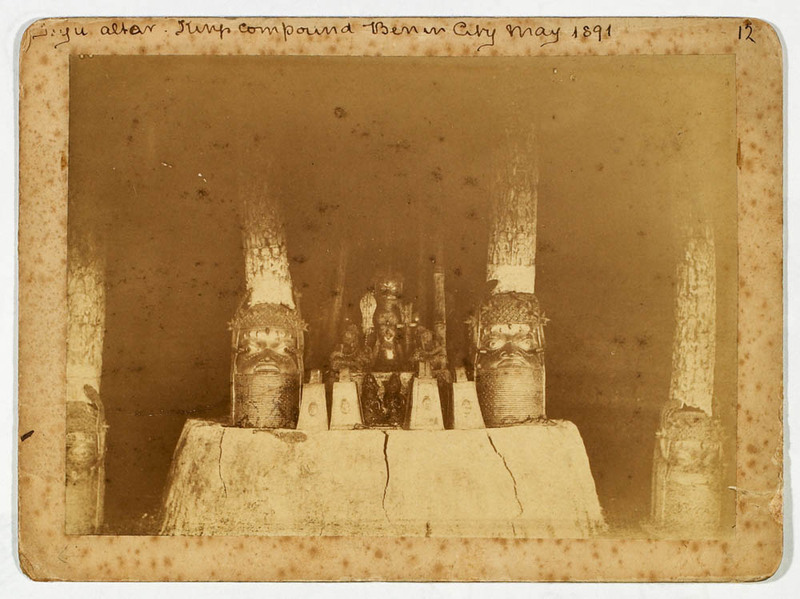 A handwritten title on this rare albumen photograph reads: “Juju altar. Kings compound Benin City May 1891.” This cabinet card is considered the earliest known photograph of a Benin altar and the only one known to exist prior to the British invasion of Benin in 1897. It shows the configuration of carved ivory tusks, commemorative heads, bells, a king figure with an eben (sword), and smaller bronze figures. Cyril Punch, a British merchant who often traded between Lagos and Benin, took this photograph in 1891.